The emergence over the course of George Eliot’sMiddlemarch of Dorothea Brooke as a new sort of epic hero clearly has much to do with her character’s starting point in an ill-suited marriage to the elderly cleric Edward Casaubon. The present paper argues that Casaubon’s unachieved life’s work,The Key to All Mythologies, functions very precisely in the novel as a textual, mythic figure against which, and even through which, Dorothea’s new character is defined. 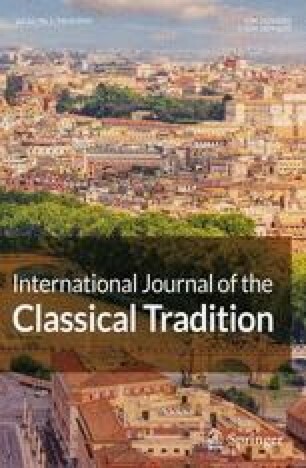 The author gratefully acknowledges the assistance of several anonymous readers and of the editor of this journal, Professor Wolfgang Haase, in revising this paper. Constraints of time and space have made it impossible to follow all their suggestions, but there are topics in this paper that they have rightly pointed out deserve more attention, most especially the other textual and mythological elements that, together with the stemmatics pursued in this paper, contribute to Casaubon’s pursuits in the novel.